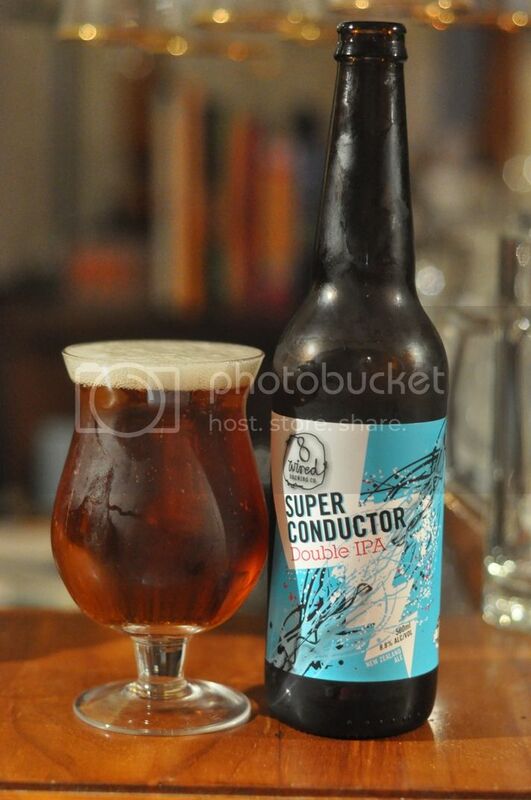 I was shocked to find out that I had not reviewed this beer yet! Hopworks IPA has been my beer of choice for the last couple of months and judging by the number of empty cans scattered around my bar I've had a heap of them! 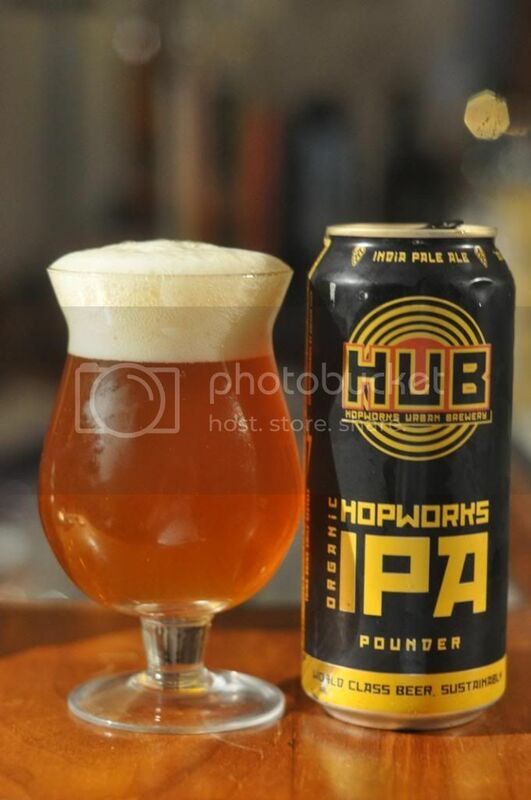 Hopworks Urban Brewery (HUB) IPA is a class leader in terms of appearance; can you imagine a prettier looking IPA! A surprisingly clear orange body is topped by a three finger head of dense off-white foam. The head has brilliant retention, there's always some left in the bottom of the glass, and there is an adequate web of lacing left behind. It's one of the best looking IPA's you are likely to see. On to the nose and it's just as good as the appearance of the Hopworks IPA. There's heaps of citrus bitterness on the nose with very sour grapefruit and oranges the most prominent. Both Amarillo and Centennial hop varieties are both very easy to detect. As the beer warms there are signs that this beer is more than just a hop bomb as a nice caramel malt aroma becomes more prevalent. It seems like a really well balanced IPA. The taste is again on another level, it's one of very few beers that build on positive elements all the way through to produce a really top notch beer. It's only 75 IBU's but not one of them have been wasted, it tastes much more bitter than that with citrus flavours running a muck. Besides the normal citrus hop flavours (grapefruit, oranges etc.) there is also plenty of pine characteristics. There's just enough malt to balance this beer and make it incredibly drinkable. This review has taken me over a week to write and I have absolutely no idea why! It's probably got something to do with me tossing up which words to use to describe this beer as I have had it so many times before. Anyway my final thoughts on this beer are that it is one of the most sessionable IPA's out there. Hopworks IPA is a beer that all IPA lovers should try and get their hands on. P.S. I have just been informed that mentioned this IPA before in "A Busy Few Weeks in Review...", but this beer certainly deserved more than just a passing mention!